Protect your phone once and for all with the rugged, water-resistant Altura Pocket Wallet. Your phone is especially vulnerable to damage on the bicycle. 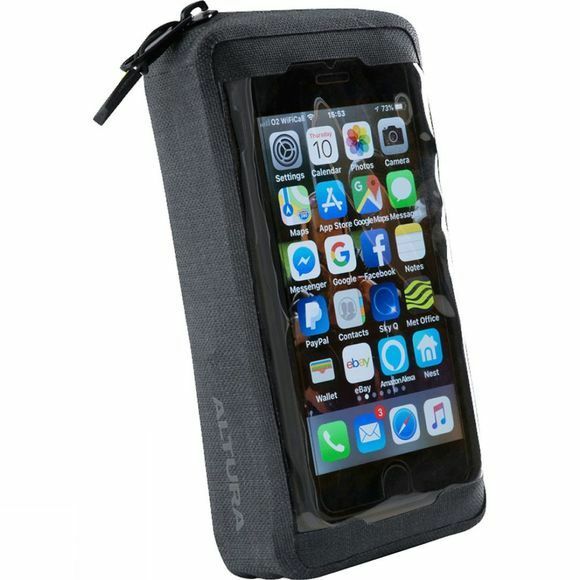 Humidity from sweat and rain, or the possibility of accidental damage, are ever-present dangers so Altura designed this wallet for use on your bike. The front side features a transparent touchscreen display so you can still use it while its inside the case. 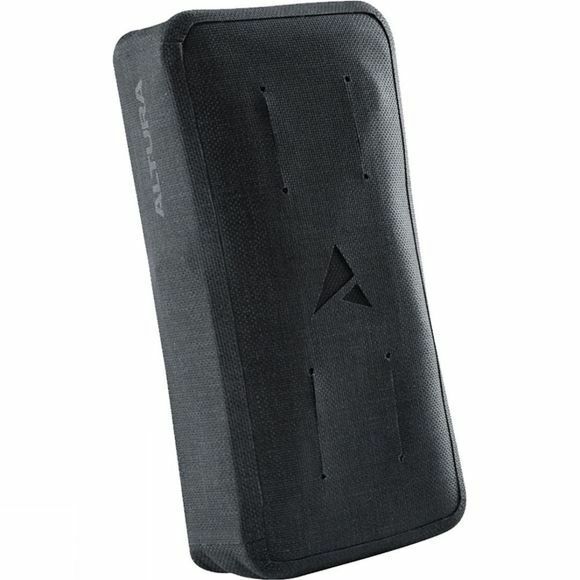 While the backside has grip strap attachment points, so you can thread it through the strap of a messenger bag or rucksack. Inside you can store more than just your phone. It has the capacity for a spare inner tube, tyre levers, cash and cards, with internal sleeves for easy organisation. The water resistant zip closure secures them all against the elements.